Londoners are lucky to have so many green spaces and there are no fewer than 8 Royal parks in the Greater London area. Often called ‘the lungs of London’, they provide much needed respite from the hustle and bustle of urban living. Regent’s Park has much to offer. The wonderful Queen Mary’s Gardens including a rose garden, an open air theatre, a lake as well as sporting facilities. 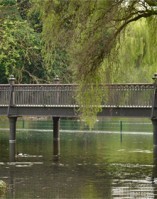 Regent’s Park also contains the 36 acre London Zoo which has over 600 species of animals. 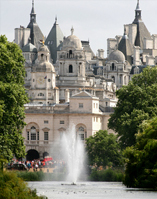 Hyde Park, one of London’s largest parks, it is often used for concerts such as the BBC Family Prom in the Park and for charity runs. There is boating on the Serpentine lake, a lido and a horse riding track. Kensington Gardens – this is home to Kensington Palace, the former home of Prince Charles and Princess Diana and now the home of the Queen’s cousins. 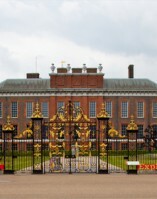 It is possible to visit the palace and to walk the Diana Memorial Walk and see the Diana Memorial Playground. 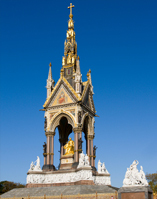 You will also be able to marvel at the magnificent Albert Memorial, constructed in the 19th century by Queen Victoria to commemorate her beloved late husband. Richmond Park, a vast parkland of over 2,500 acres, this Royal Park is a Site of Special Specific Interest and a Natural Nature Reserve. 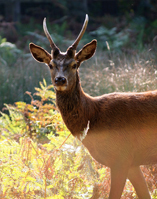 You will be able to admire the very fine deer including stags that roam this park. It is possible to hire bikes and take a picnic at this beautiful location. St James’s Park is right next to the Mall and Buckingham Palace and has a beautiful lake with swans, geese and ducks for all to enjoy. If you are lucky, you might even get to see one of the resident pelicans that live in the park. 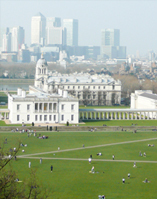 Greenwich Park – This was once the site of Placentia, the Tudor palace where King Henry VIII and his daughters, Elizabeth and Mary were born. The palace no longer remains but the large 183 acre park does. It is the start of the annual London Marathon and also is home to many fine historic buildings including the Royal Naval College, the Maritime Museum, the Royal Observatory, The Queen’s House, the Ranger’s House and the Fan Museum.